Purchasing bags from GTI Industries means you get the product you want, when you want it and how you want it from a company that prides itself on excellent customer service. Our kraft paper bags which feature side gussets, self-opening thumb notches and a variety of basic weights and sizes are an ideal environmentally-conscious choice as they are renewable, recyclable, compostable and biodegradable. Commonly used for shipping, polybags in various sizes, shapes and thicknesses appeal across industries from industrial packaging to food service and healthcare. Premium, high clarity re-closable bags to store, protect, display, organize and repackage your items provide superior strength and functionality and also range in size and thicknesses. GTI Industries can customize your bag sizing, thicknesses and printing, and we represent automated bag sealers. GTI's Kraft Paper Bags are the ideal environmentally-conscious choice bags for a variety of retail and grocery stores. 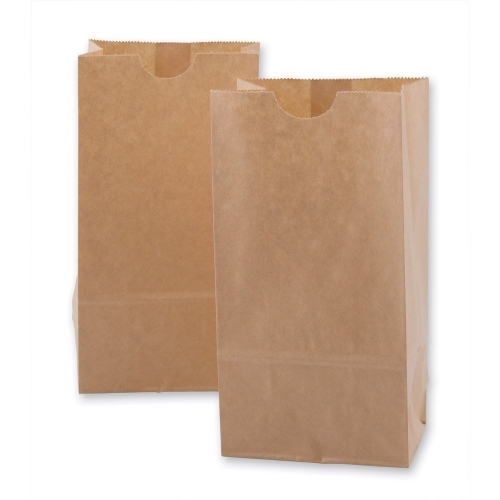 Kraft Paper Bags are suitable for a multitude of needs, featuring side gussets and self-opening thumb notches. These bags come in an assortment of basic weights and sizes. Kraft Paper Bags are renewable, recyclable, compostable, biodegradable and perfect for the Earth friendly consumer. Polybags are commonly used for shipping. Whether for industrial packaging, food packaging or healthcare packaging, we have what you need. GTI stocks a variety of the most common sizes for immediate shipping. We can also custom make bags to your specific size or thicknesses. Need your bags custom printed? We can do that too. We can provide you with a manufactured bag that meets your demands. Bag Sealers come in handy for low to medium packers that need the reassurance that their bags are sealed. Used in many industries, our bag sealers come in different sizes and are available in both manual and foot operated styles. Tell us about your packaging challenge and we can find the right tools to help you meet your demands. GTI carries premium quality re-closable bags that provide superior strength and functionality. Ranging in a variety of sizes and thicknesses our re-closable bags yield high clarity and easy closing. Use GTI's re-closable bags to store, protect, display, organize and repackage your items.